205km cycling event starting from Clitheroe, Lancashire. Controls at Leyburn and Kirkby Stephen. A 200 km Audax, long-distance cycling event from Lancashire to the Yorkshire Dales and back again - in a day. 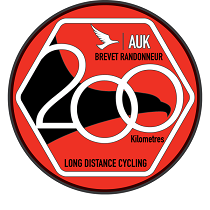 The event counts as a 200 km qualifier for PBP! 72 entries as of 25.03.2019!